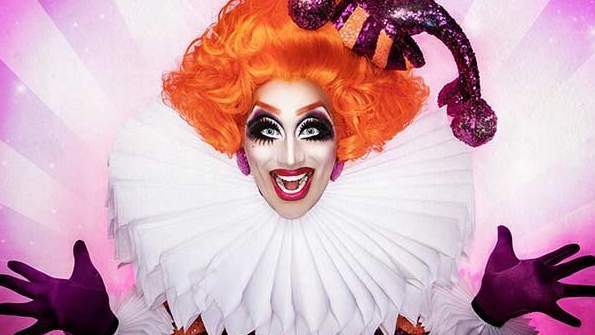 Drag star Bianca Del Rio is heading back to Australia with her new show It’s Jester Joke. The self-proclaimed “clown in a gown” tells tales of her world travels and the outrageous circus that is her life. The show features Del Rio sharing tales from her comical life alongside her views on everything from politics to social media, family and travel. Bianca Del Rio, the alter ego of comic Roy Haylock, became a house-hold name when she won the sixth season of RuPaul’s Drag Race. Her previous shows have included The Rolodex of Hate, Not Today Satan and Blame It On Bianca Del Rio. Her 2019 tour will see her playing show in Brisbane, Canberra, Melbourne, Perth and Sydney next February, tickets will be on sale from 9am on Friday 28 September. For all the info visit www.thebiancadelrio.com or each venue’s ticketing site.